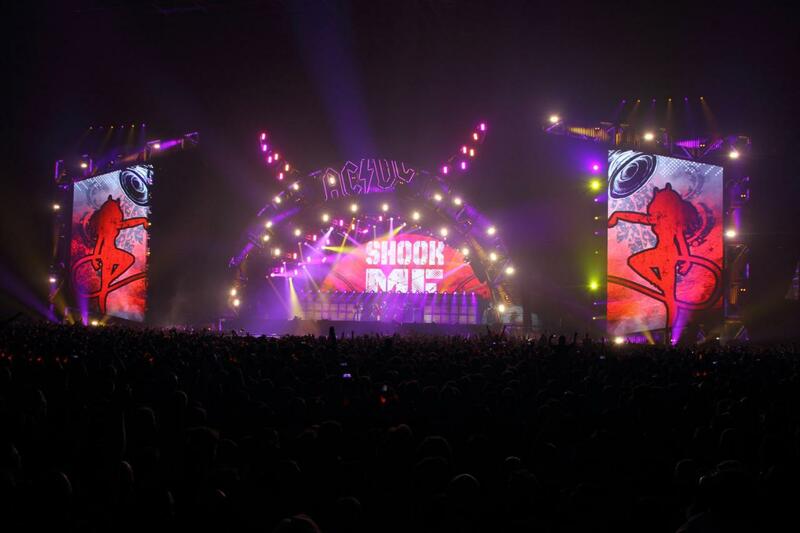 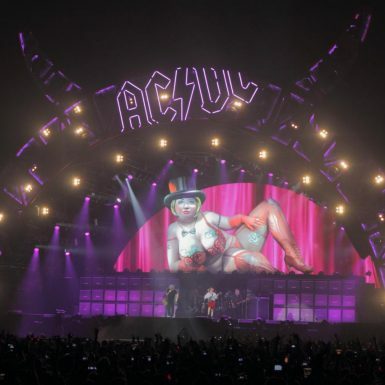 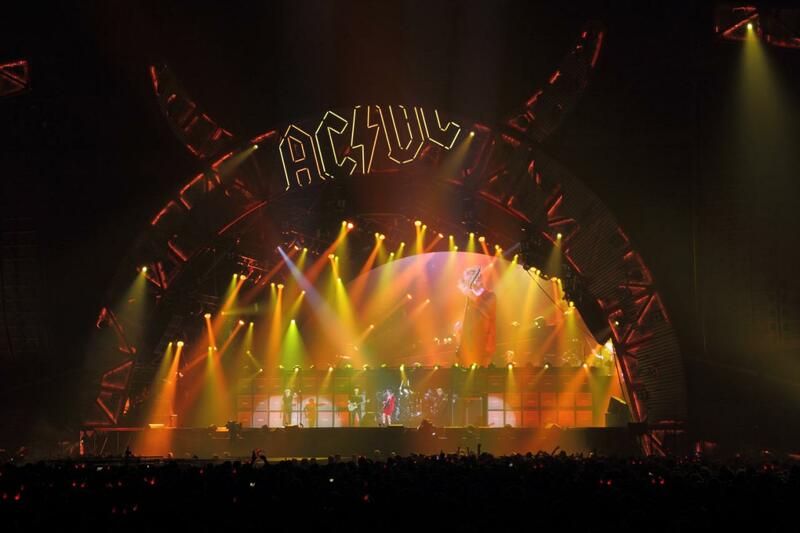 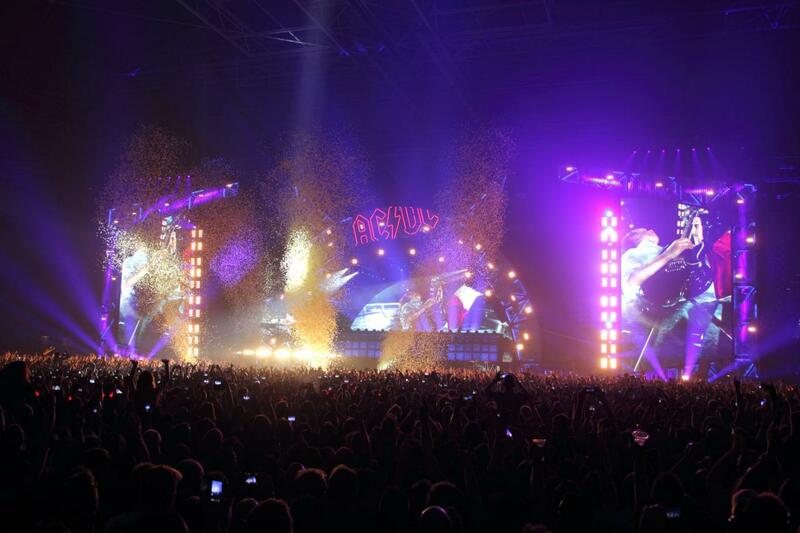 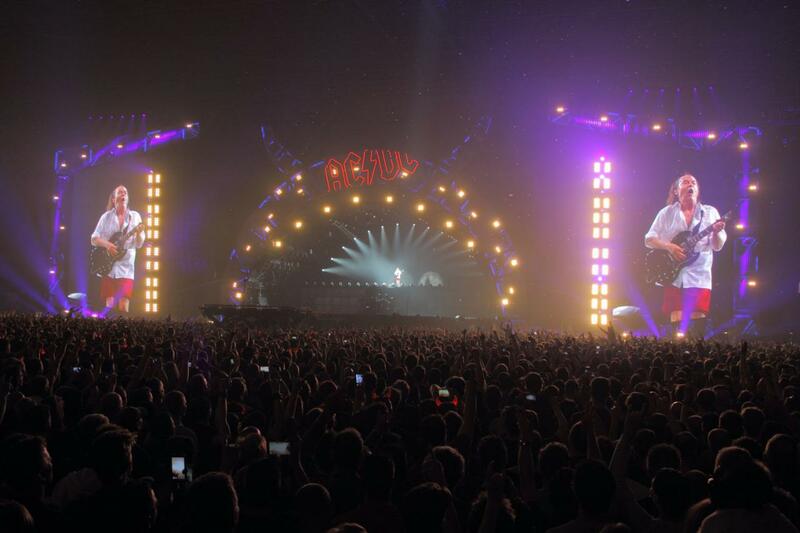 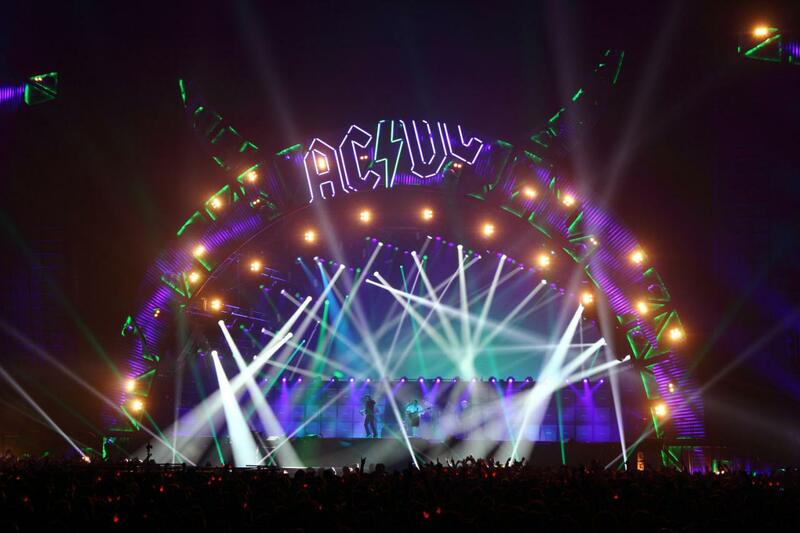 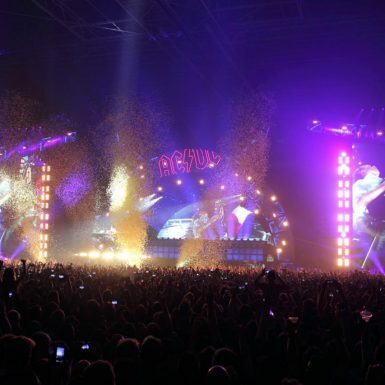 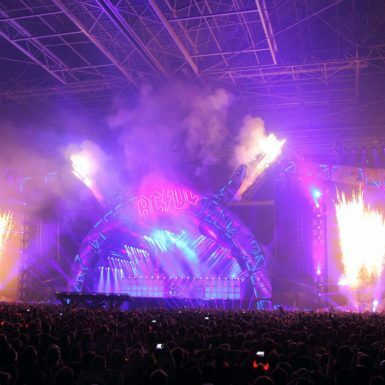 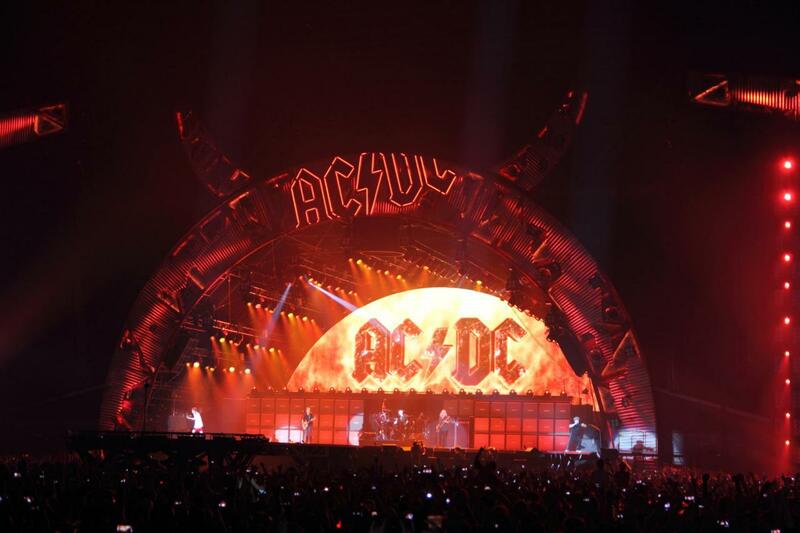 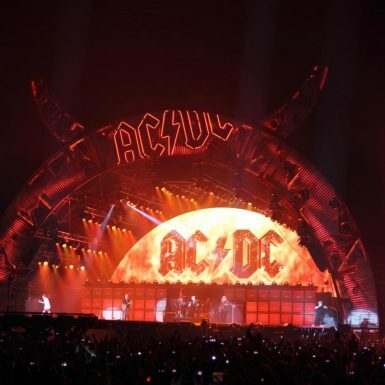 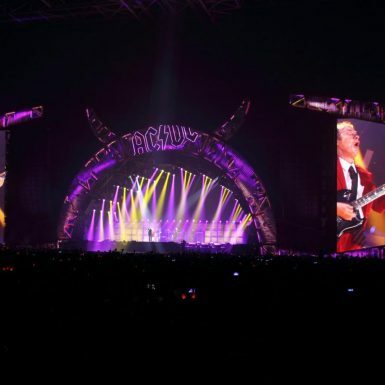 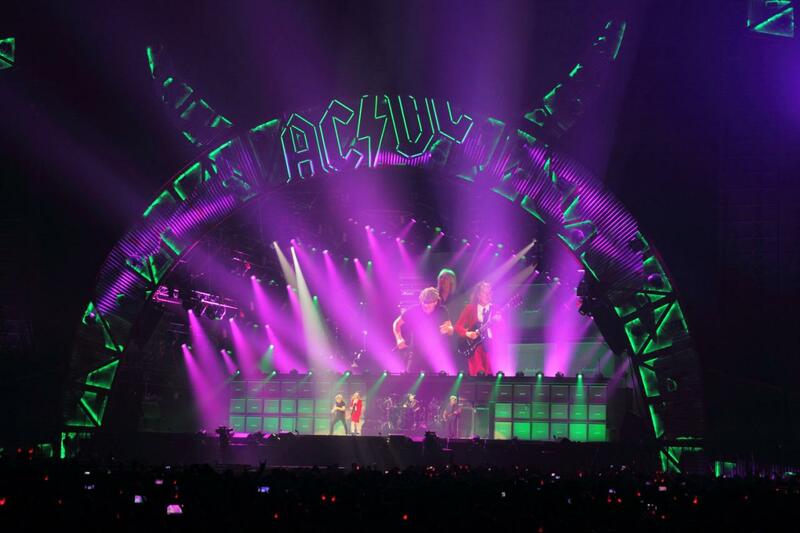 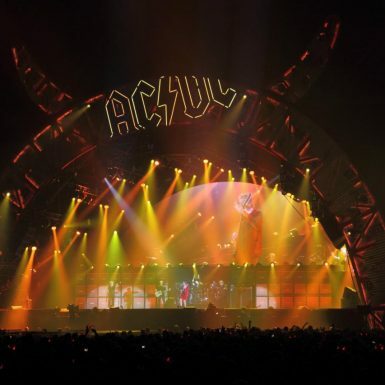 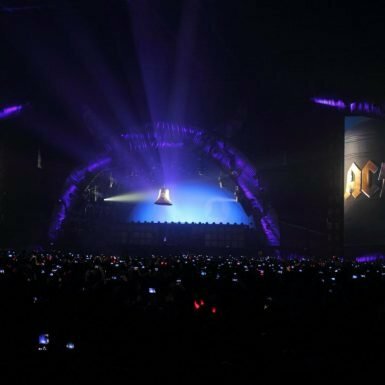 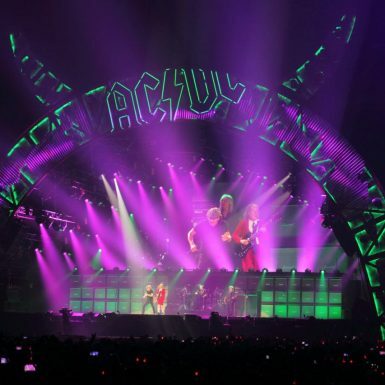 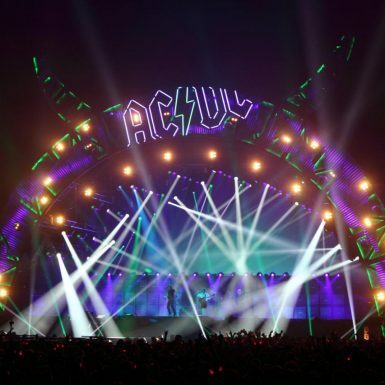 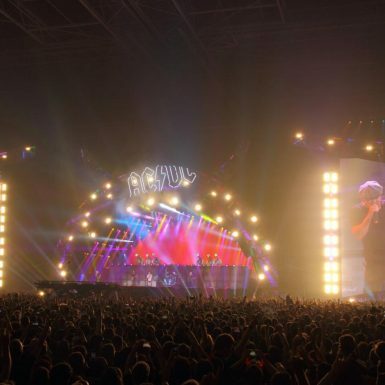 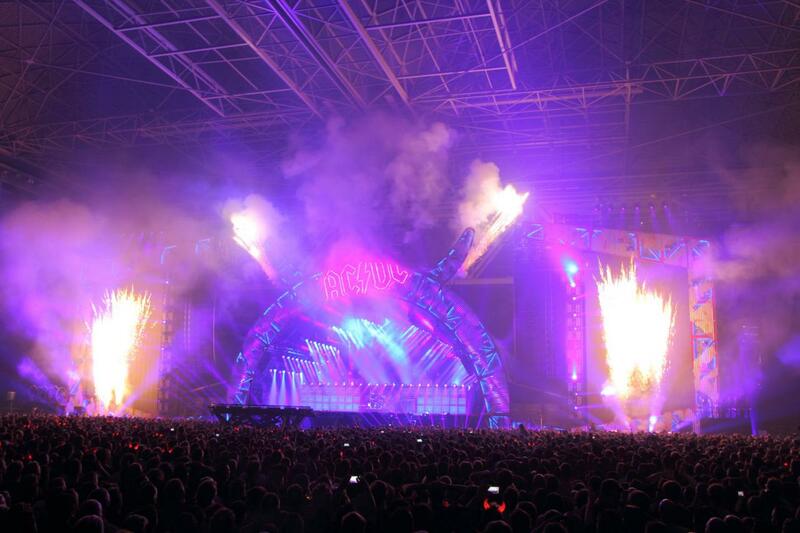 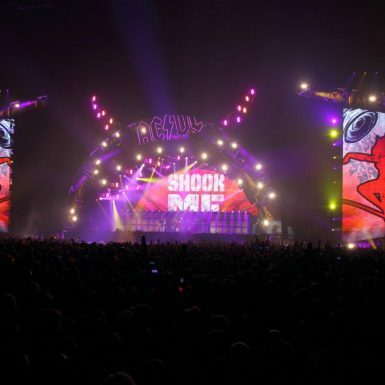 Production manager Dale ‘Opie’ Skjerseth and production design team Stufish Entertainment Architects engaged Wonder Works to make real the creative design concept for the latest ‘sell out’ and critically acclaimed AC/DC world tour. 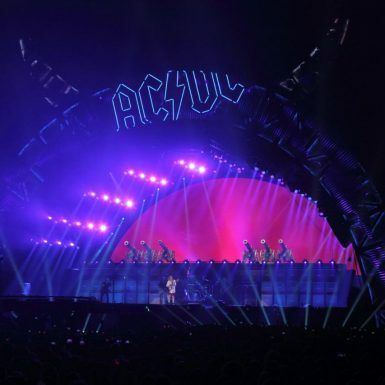 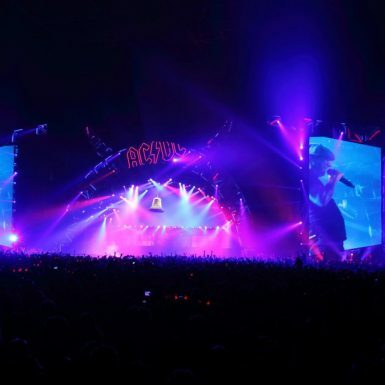 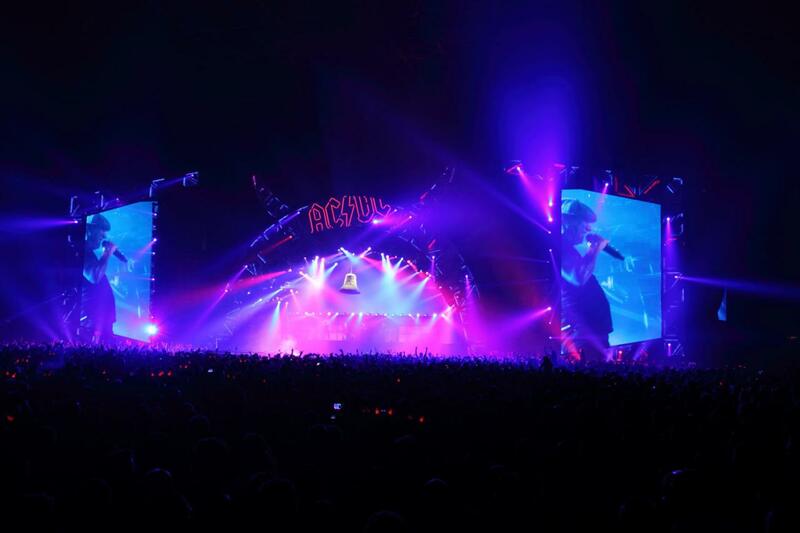 Wonder Works collaborated with a wide range of specialist staging companies (including StageCo and Tait Towers) to develop a seamless ‘look’ synonymous with AC/DC. 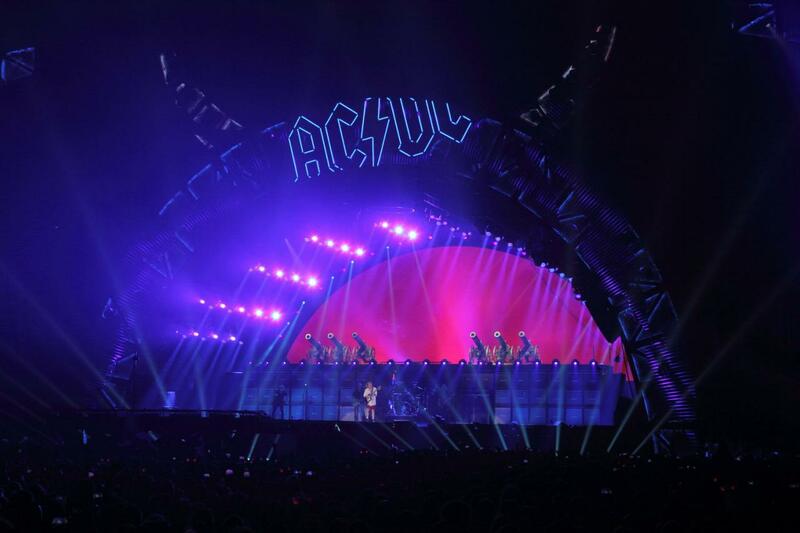 It was also critical all equipment would tour safely. 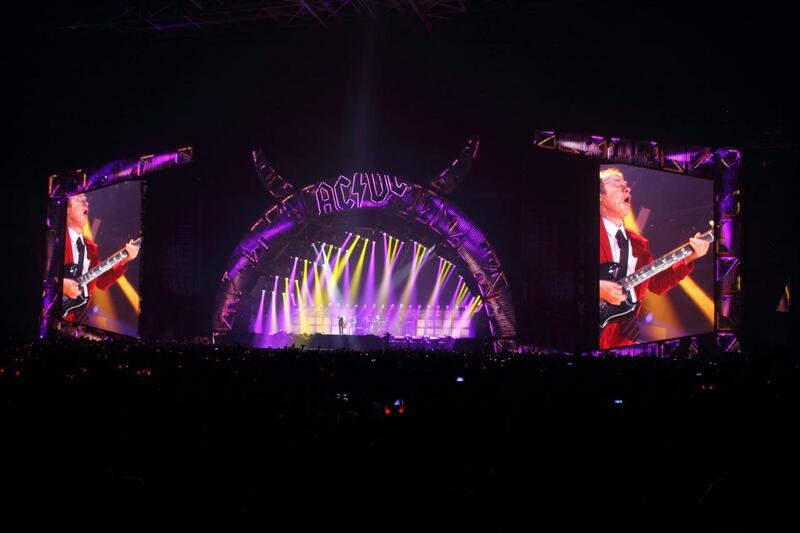 Skjerseth was particularly concerned to identify a solution to installing the large cladding panels covering the stage arch. 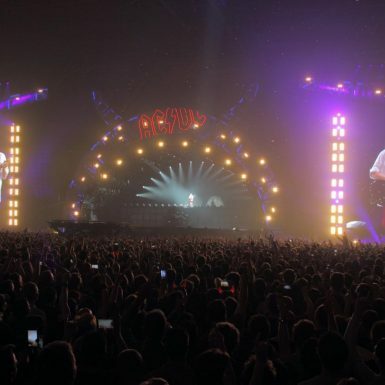 Jeremy Lloyd, Wonder Works director, commented. 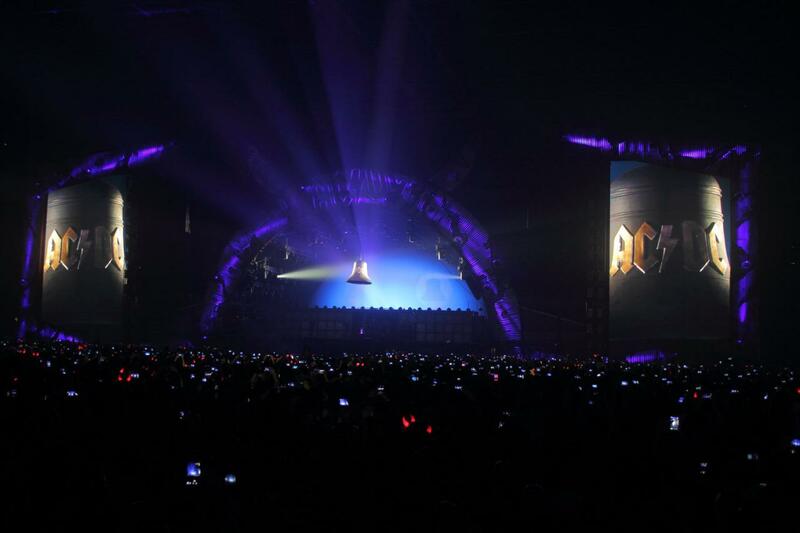 We proposed the idea and then we all got together in the US. 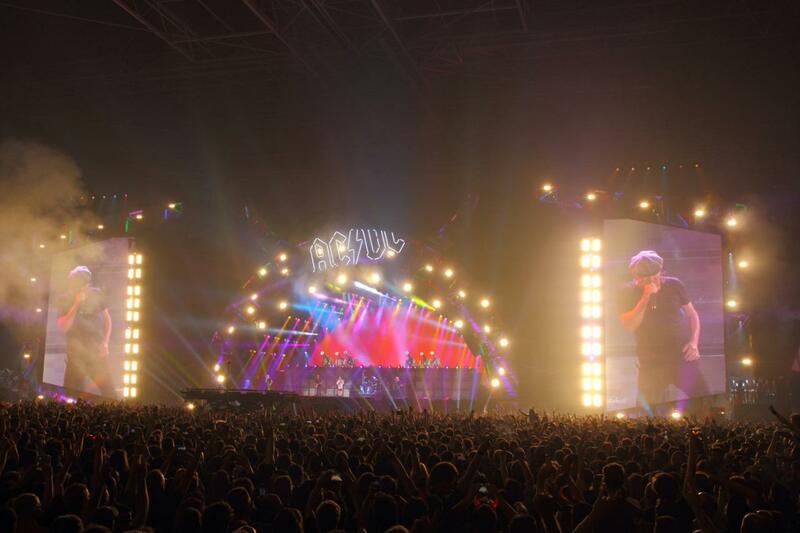 StageCo did the big steel arch and then Tait built the cladding tracking system so that everything got built on the floor and winched up. 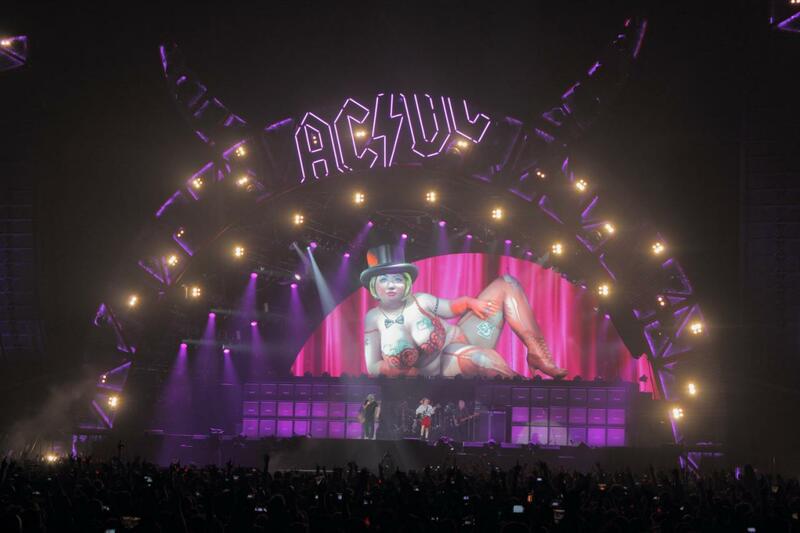 It worked great.